Bold Colors Full of Energy & Emotion Painted with Passion. 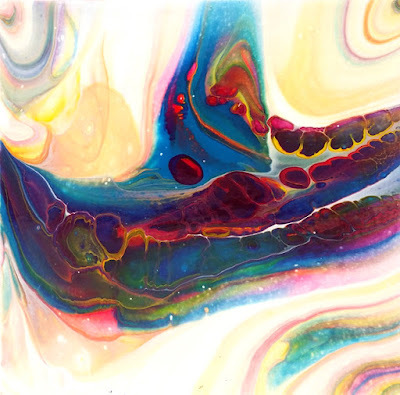 Abstract & Fluid Pieces Created Intuitively, Layer by Layer. If you feel like abstract art is one of the best ways to convey emotion, I'm in agreement. I tend to think literally, but when I see work like that of Stephanie Estrin, I have a much better sense of how you can communicate something intangible through visuals. Stephanie accomplishes this very powerfully with her boldly colored abstract and fluid paintings. While her two collections sit on different sides of the abstract spectrum, the palette and striking combination of hues brings them together. For her, the goal is sharing an emotion as the painter that her viewers can interpret. She enjoys the chance to connect with them through her work even if they have a different reading than intended. Her process is intuitive, and she builds stories layer by layer. 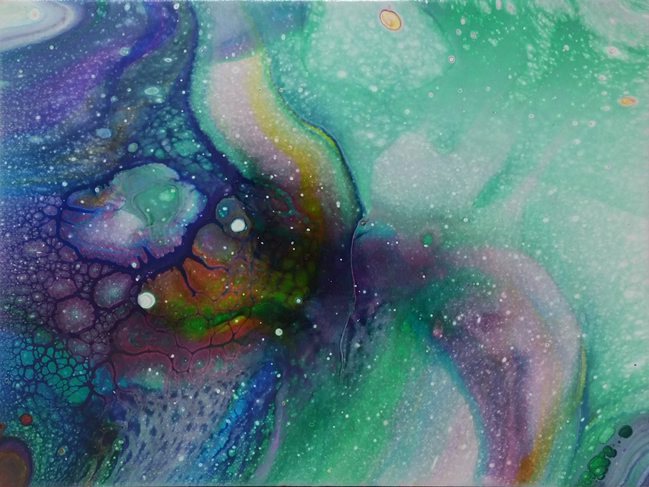 I'm fascinated by her pour art that comes together through mixing paint in a cup and then letting it loose on the canvas. She never knows exactly what she's going to get, but with a lot of practice under her belt, she has learned how to combine the right colors and how to move the paint for the most aesthetic composition. I personally can't get over how many different shades she puts together, and each piece pops despite what you'd expect to be colorful chaos. Her other collection involves brushes instead of cups, but the results are equally heavy with emotion. I find her choice of colors well suited for carrying the energy she wants to share with others. I'm in rainbow heaven when I see a wall of her abstracts and pour paintings. How can you pick just one favorite? !